You already know that staying hydrated is important. But do you know how important? Your entire body thrives off of water. According to H.H Mitchell Journey of Biological Chemistry 158, your lungs are composed of about 83% water, your brain and heart about 73% water, and your skin is 64% water. This means nearly every part of your body is affected by your level of hydration. Staying fully hydrated means higher energy levels, clearer skin, a healthy cardiovascular system, and more. To stay hydrated throughout the day, men are recommended to drink 15 cups of water, while and women are recommended to drink 11. This amount can fluctuate, as dehydration can be caused by more than just forgetting to drink water. Diabetes, prescriptions, PMS, even low carb diets can be offenders of hydration. Does the idea of chugging water all day feel daunting, or like it just isn’t enough to stay hydrated? Luckily 20% of the recommended hydration amount can be gained through your food. There are plenty of foods to incorporate into your diet to help you stay hydrated. Read on to discover 6 delicious foods that will keep you hydrated and healthy. It’s not a new concept that vegetables are great for your health. But one of the best part about veggies is that each one carries a unique combination of vitamins and nutrients that can suit your body’s needs — including hydration. 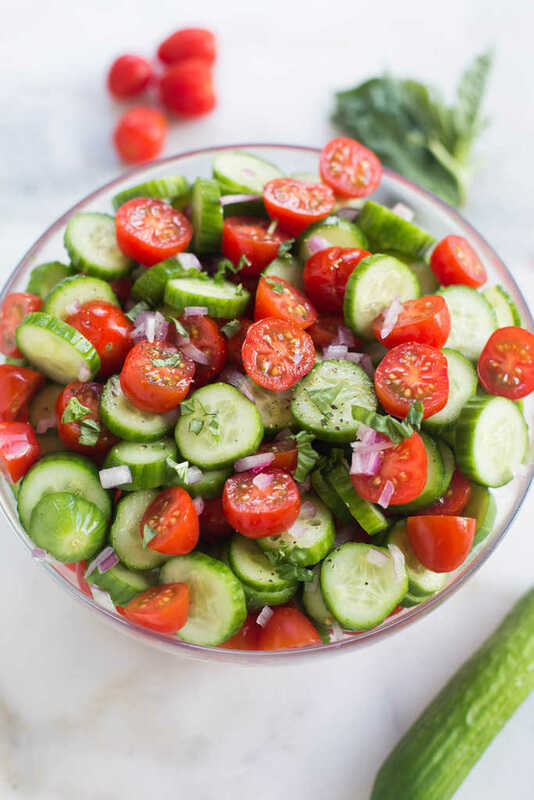 Cucumber is more than just a crispy addition to your salad. It has a 96.7% water content, which is the highest water content of any solid food. In addition to water, the skin of a cucumber contains high amounts of vitamin C and caffeic acid. Both of these are known to soothe skin and reduce swelling. No wonder cucumber slices are a popular eye treatment at spas! There are plenty of ways to use cucumber in your recipes. Some favorites are eating them raw, chopping them up into a tuna salad, or turning them into pickles. Eggplant is comparable to cucumber in water weight, with a water content of 92%, or 89% when boiled. They’re also high in fiber and vitamins and low in calories, making them a guilt-free snack or meal. If you’re looking to detox while you hydrate, seek out the Black Magic variety of eggplant. It’s been found to contain about three times the amount of antioxidants as other typed of eggplant, and its phenols, or detoxifying properties, can even be attributed to cancer prevention. Try it in a grilled eggplant and zucchini salad for an added hydration bonus. Ah, fruit — sweet, delicious, and healthy. And the following fruits contain added elements that make them not only tasty, but hydrating too. Avocado’s magic lies in its fats and fiber. These help you retain water in a healthy manner throughout the day. In addition to this, avocado is a particularly good tool for moisturizing the skin and hair. Its natural fats and oils make for a great moisturizer and fights free-radicals, preventing premature aging. The perks don’t stop there. In fact, avocados’ oleic acid content is specifically beneficial to the skin, thanks to its ability to maintain moisture in the epidermal layer. Eat it raw, as guacamole, on your sandwich, or even just create a moisturizing mask of your own! Not only is watermelon 92% water, but it contains a combination of hydrating salts, calcium, magnesium and sugars that create an abundance of electrolytes. This makes watermelon an ideal go-to for rehydrating. In fact, the combination of water and hydrating nutrients makes it the perfect natural replacement for your sports drinks. 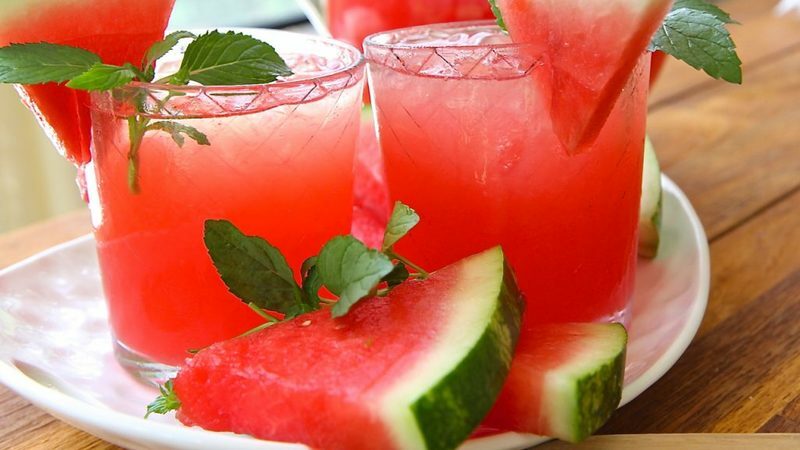 Try replacing your Gatorade with some hydrating watermelon juice. Who knew your dinner could also be your fluid serving of the evening? Pair these entrees with healthy sides and a tall glass of water, and consider yourself hydrated. Fish has been an entree for humans since time began. Not only is it abundant, but it’s rich in beneficial nutrients, many of which aide in hydration. Fish is chock full of healthy proteins that help you produce hyaluronic acid, which supports connective tissue. Stronger connective tissue means less of a chance of wrinkles appearing. It also has a high omega 3 content. Omega 3’s are used to boost oil under the skin and help clear it up. Looking for a delicious and unique hydration boost? 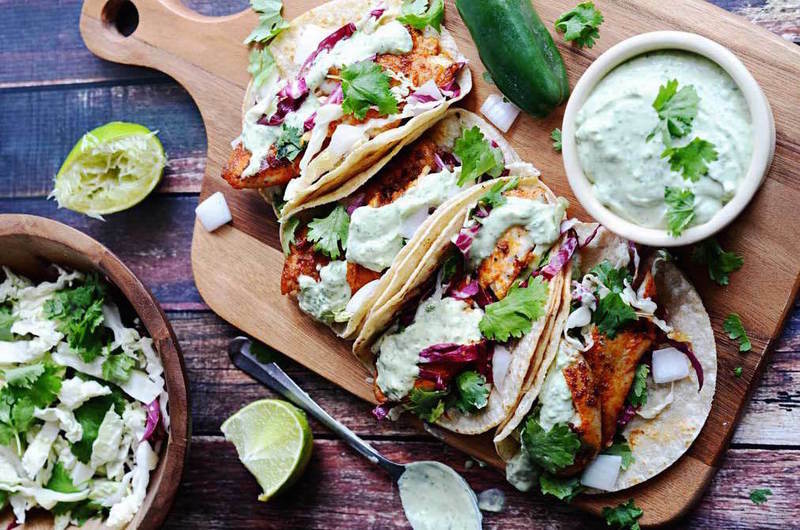 Try pairing your next batch of fish tacos with watermelon salsa. Now your favorite comfort food can be even more comforting as you rest assured knowing your dinner is hydrating and delicious. Soup’s high water content alone helps your levels of hydration. As an added perk, the sodium content helps replace electrolytes that you lose when you sweat. Need a post workout dinner that makes you feel right at home? Reach for a hearty and healthy soup recipe, like these brothy Chinese noodles. Try to avoid creamy soups and aim for some like French onion, chicken noodle, or vegetable.